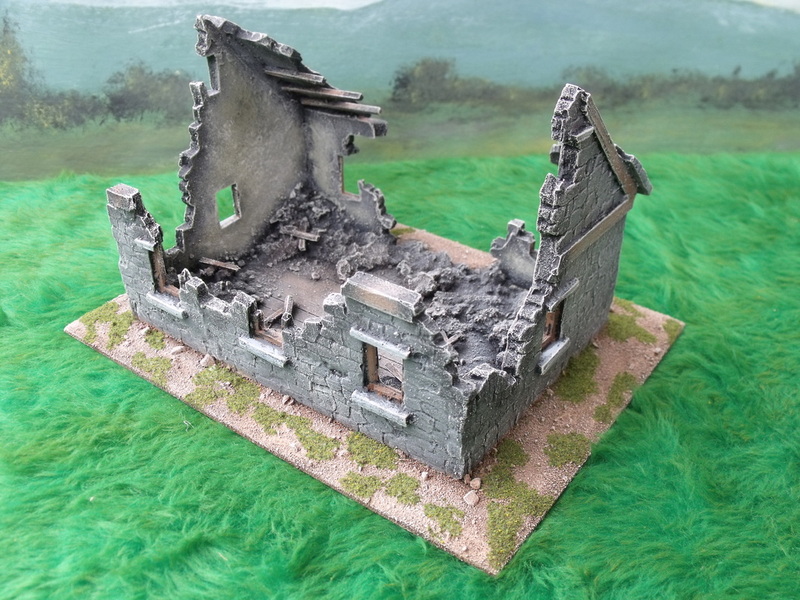 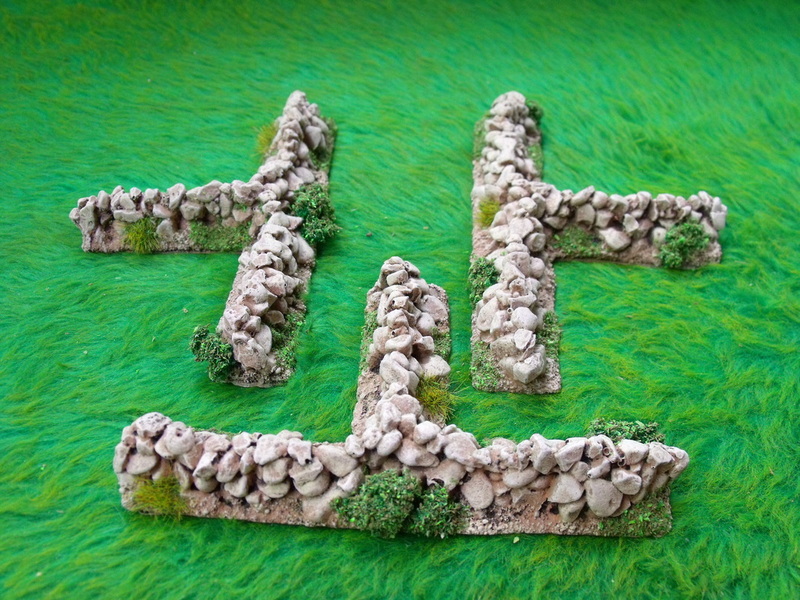 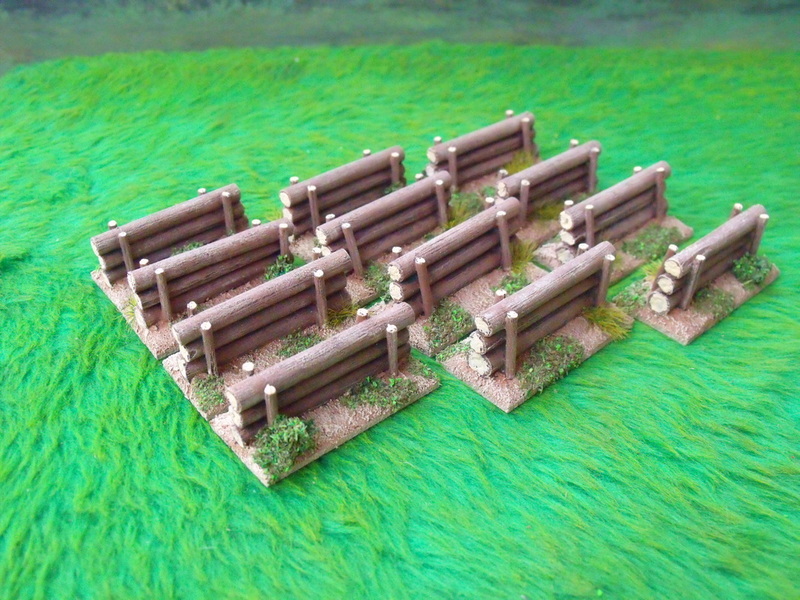 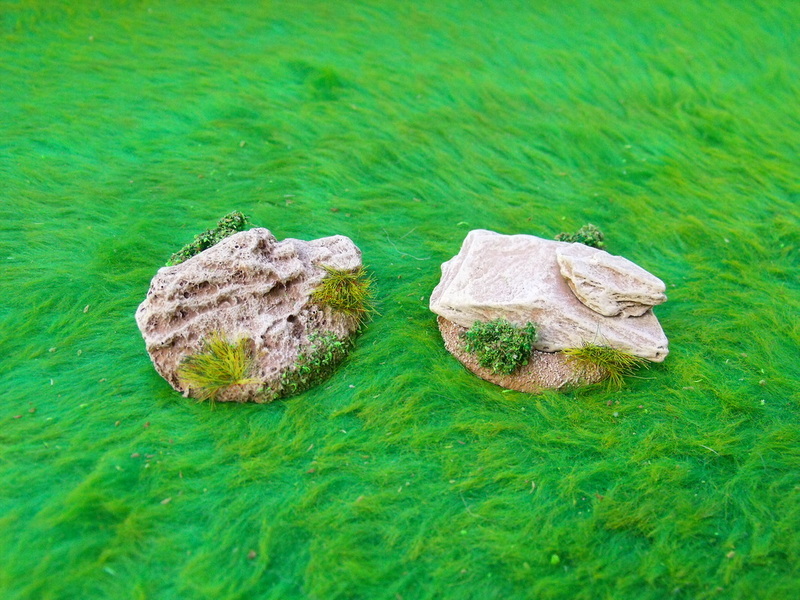 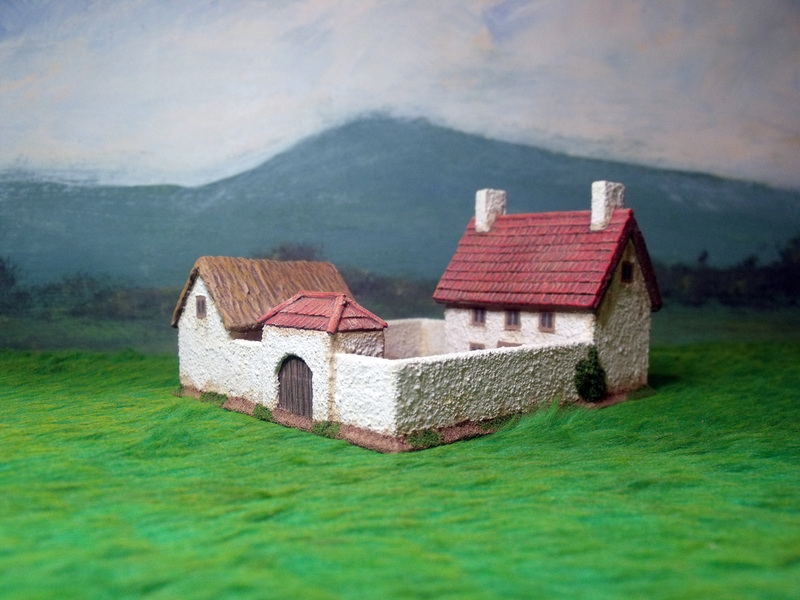 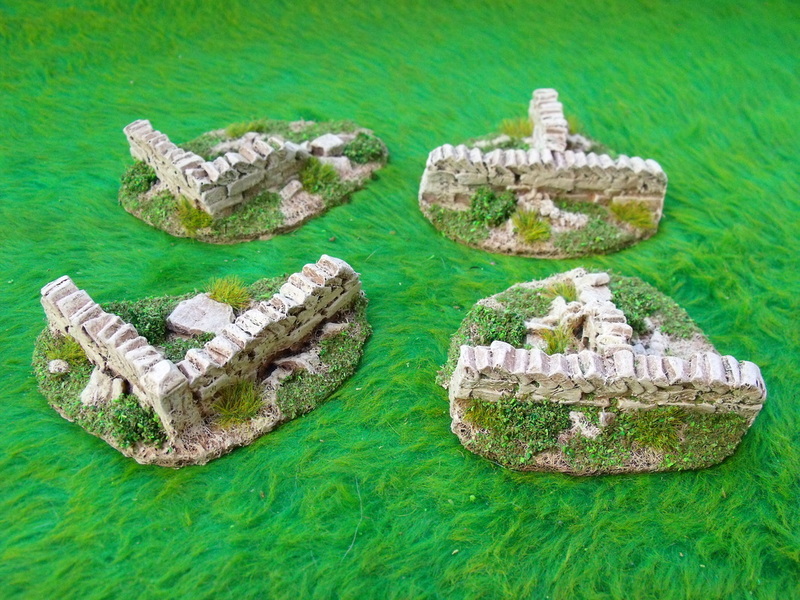 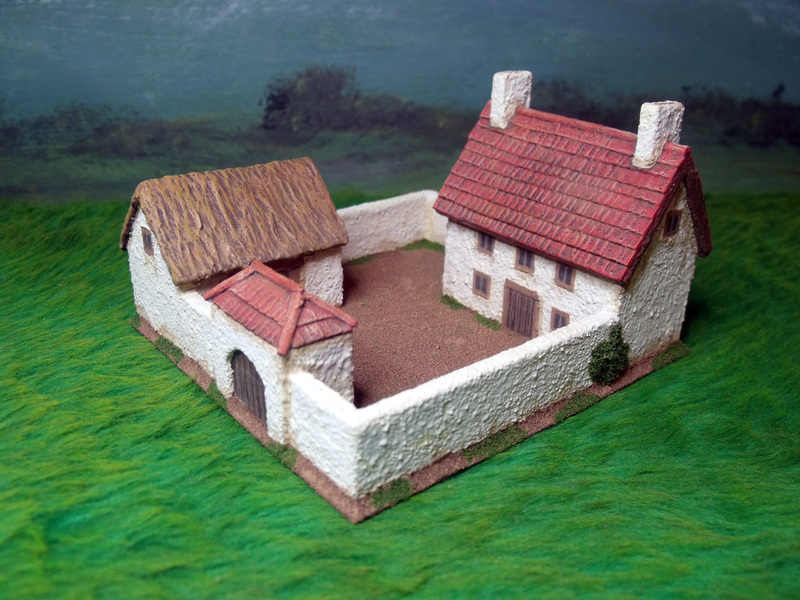 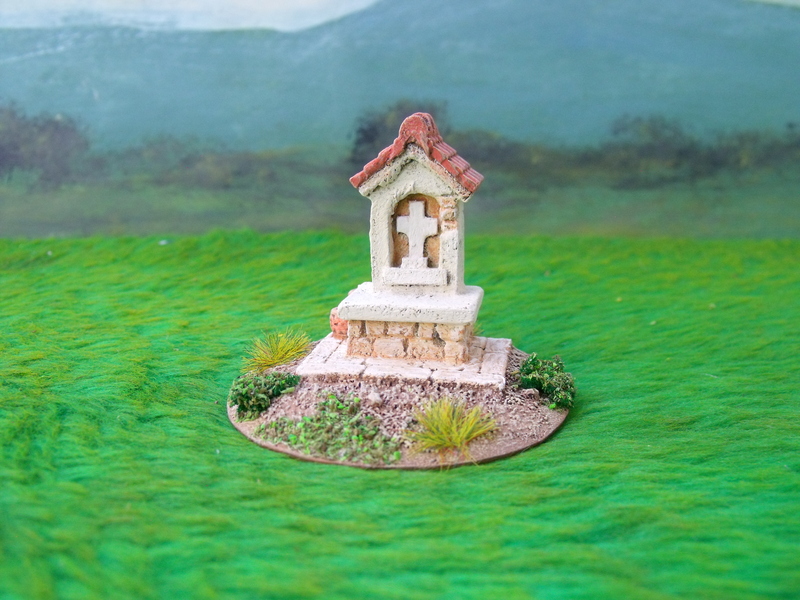 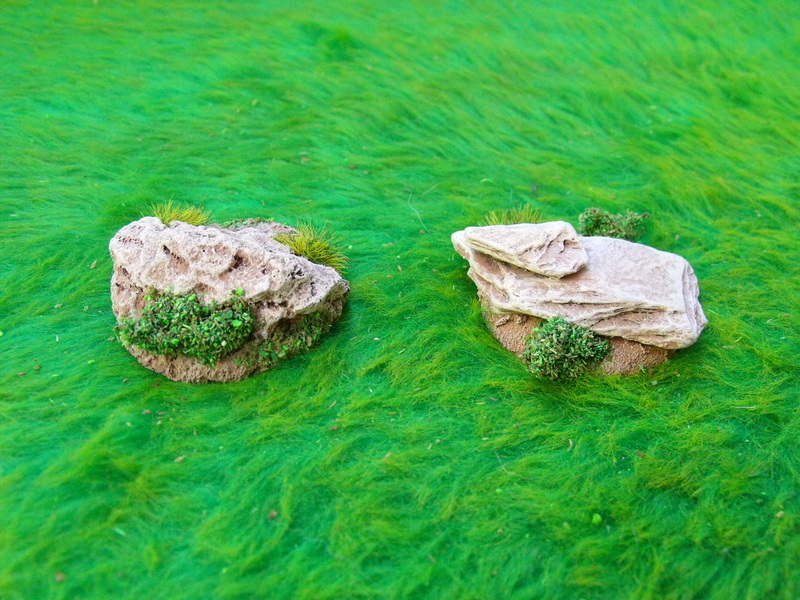 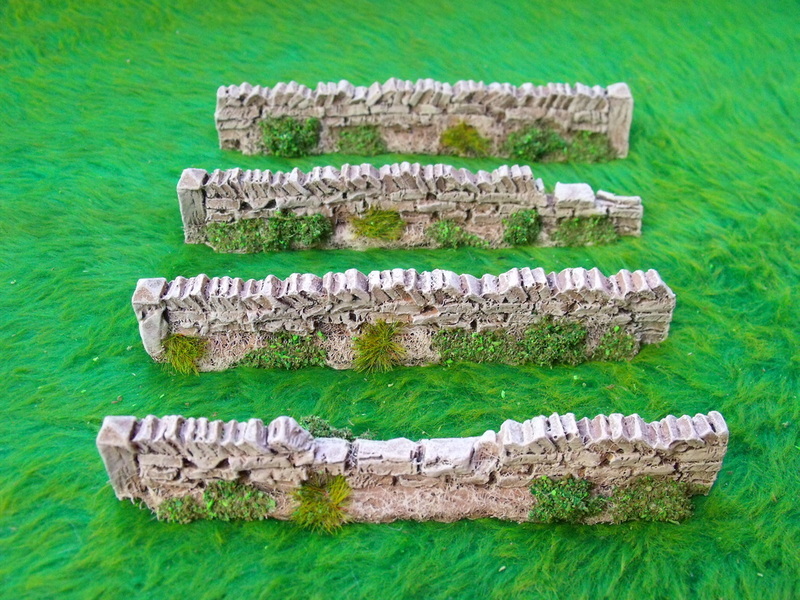 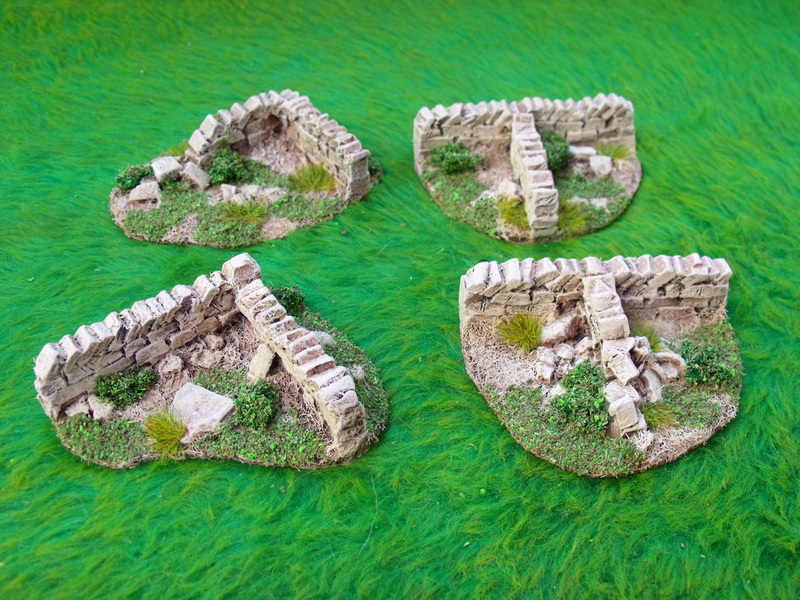 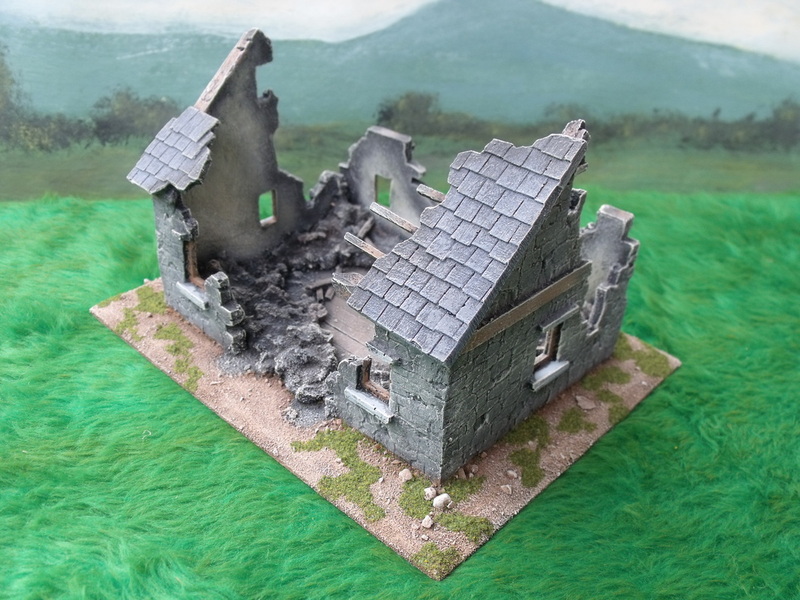 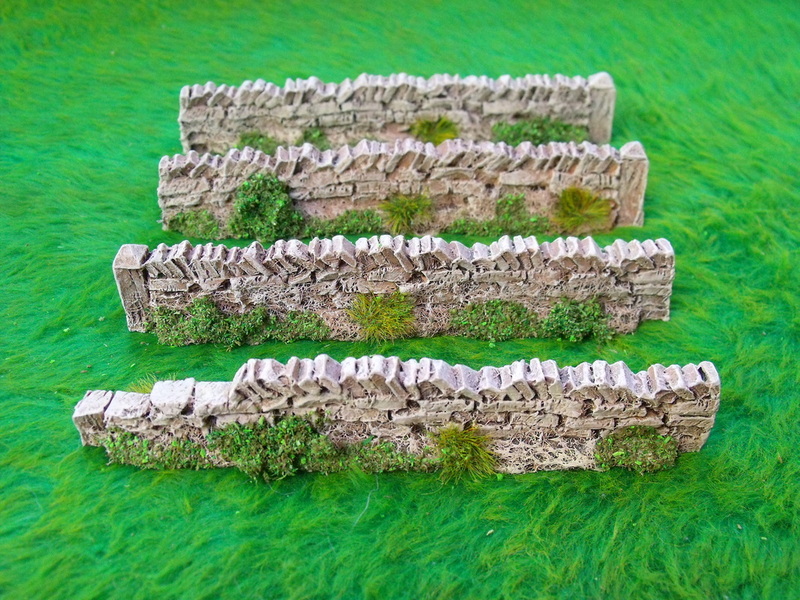 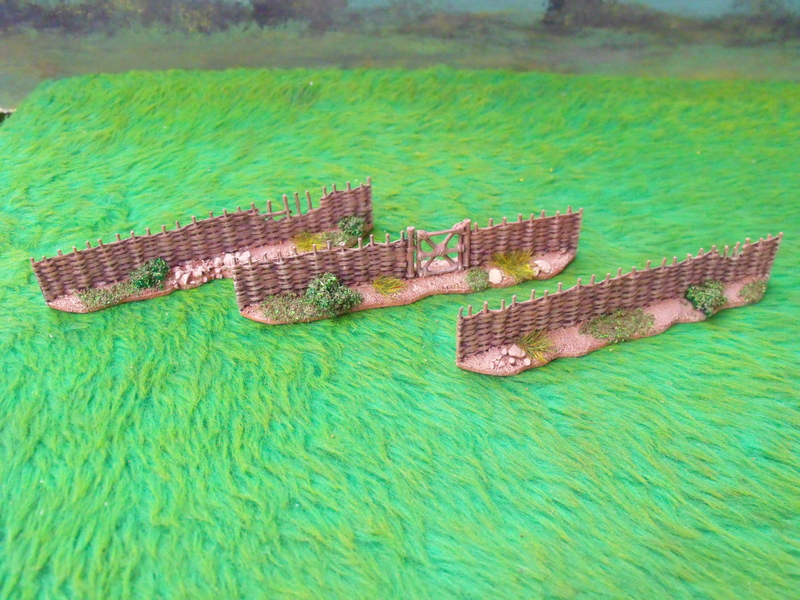 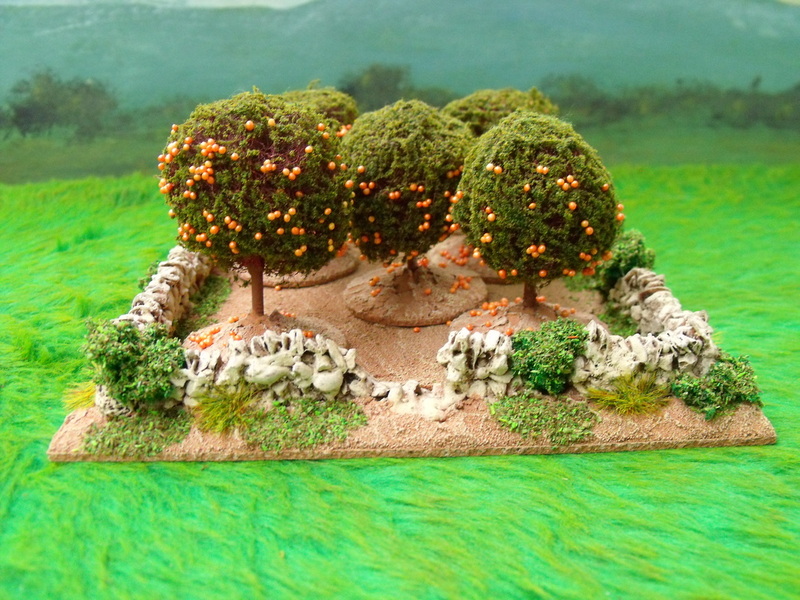 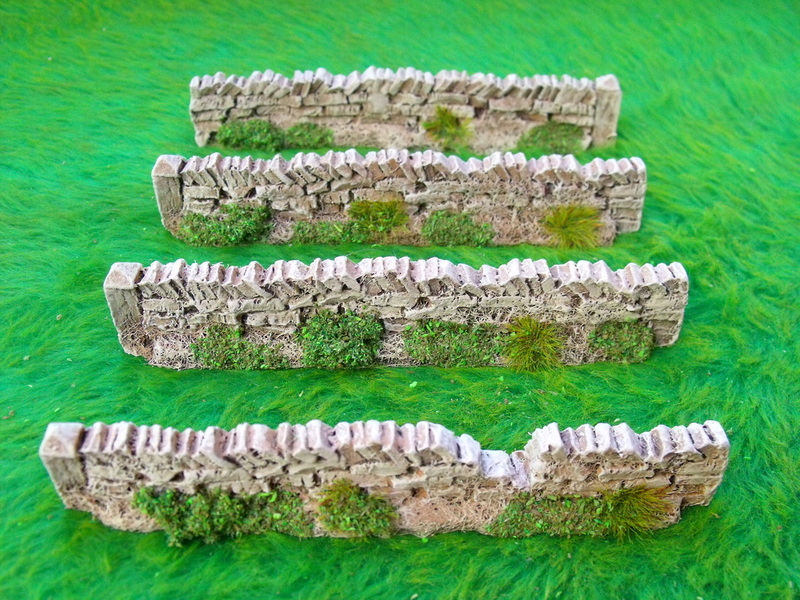 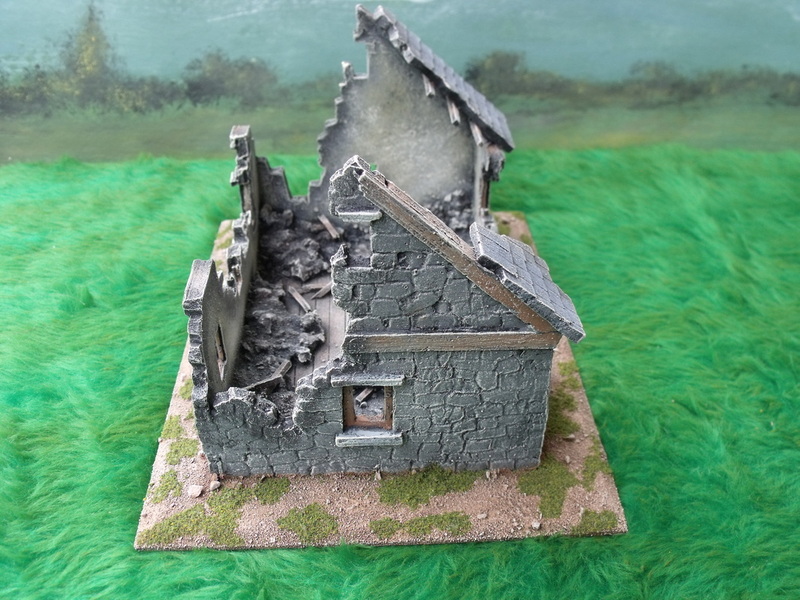 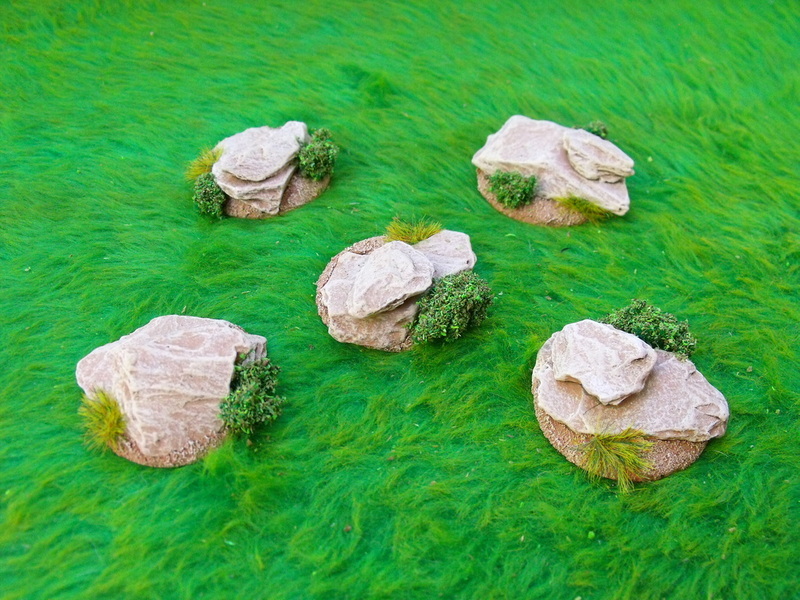 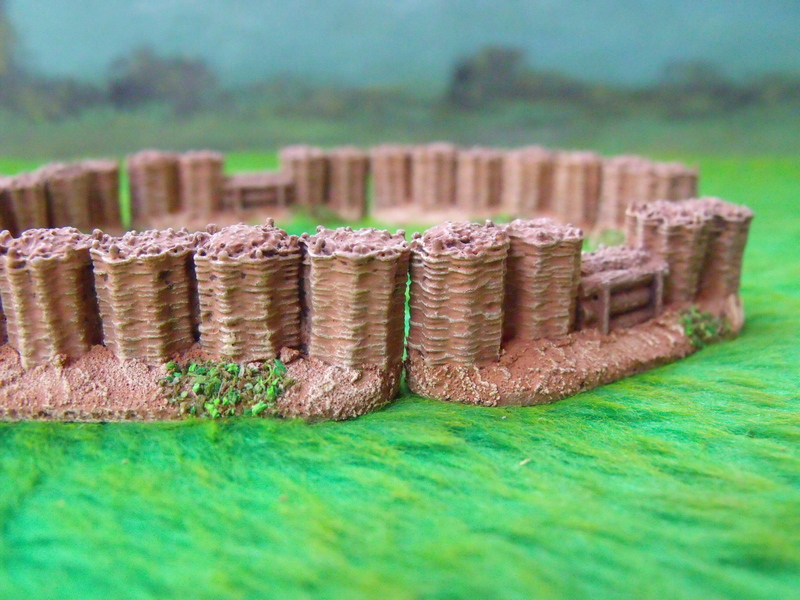 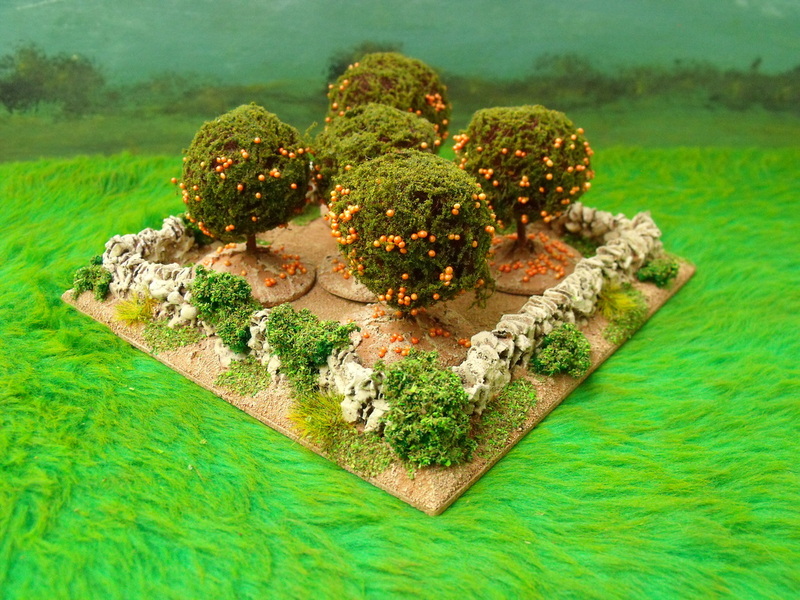 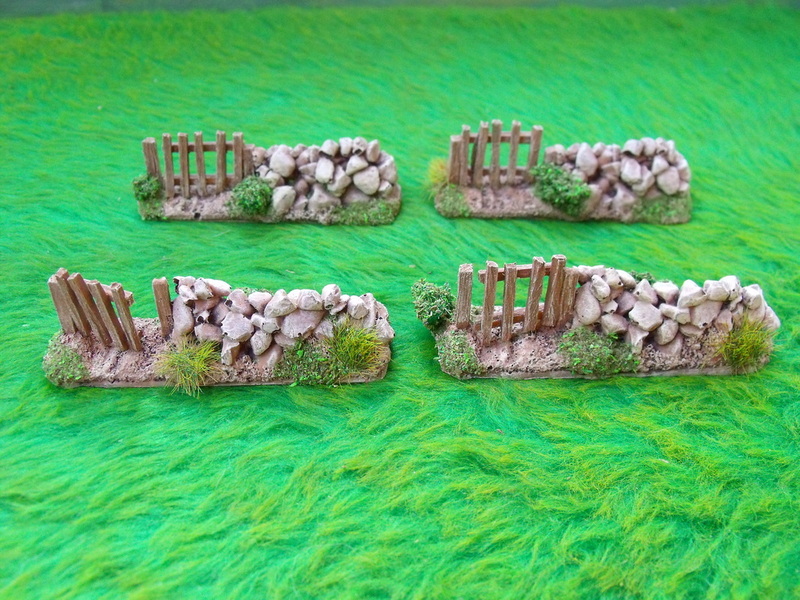 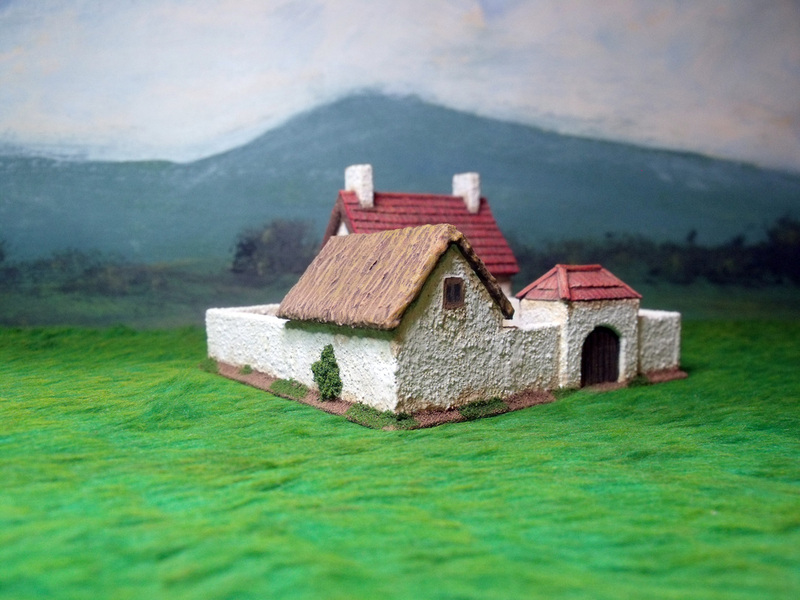 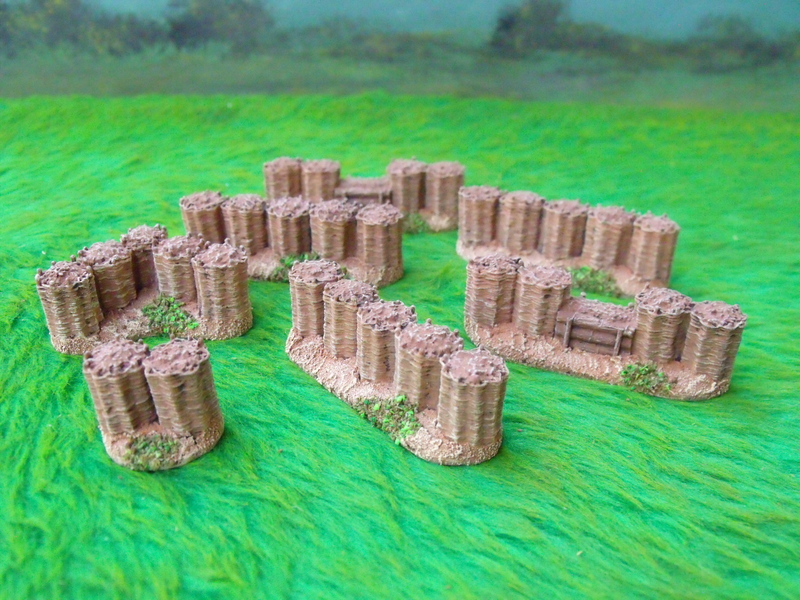 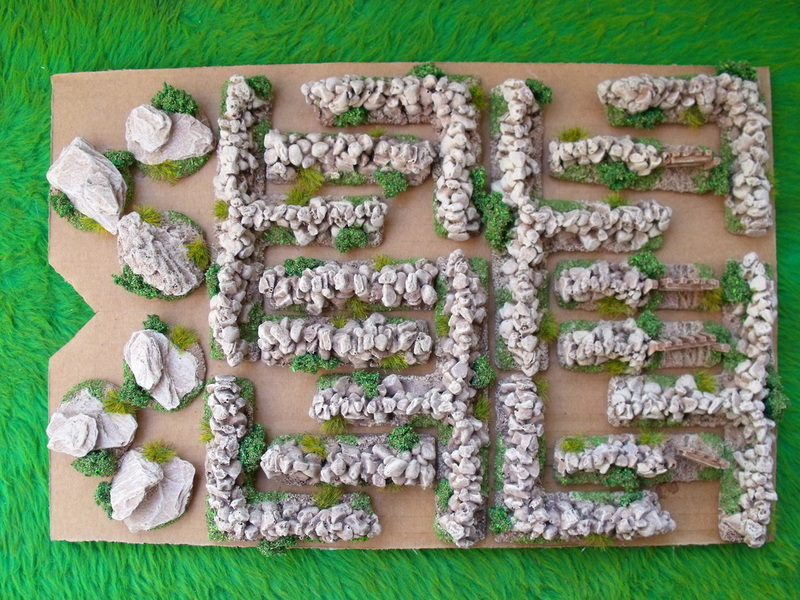 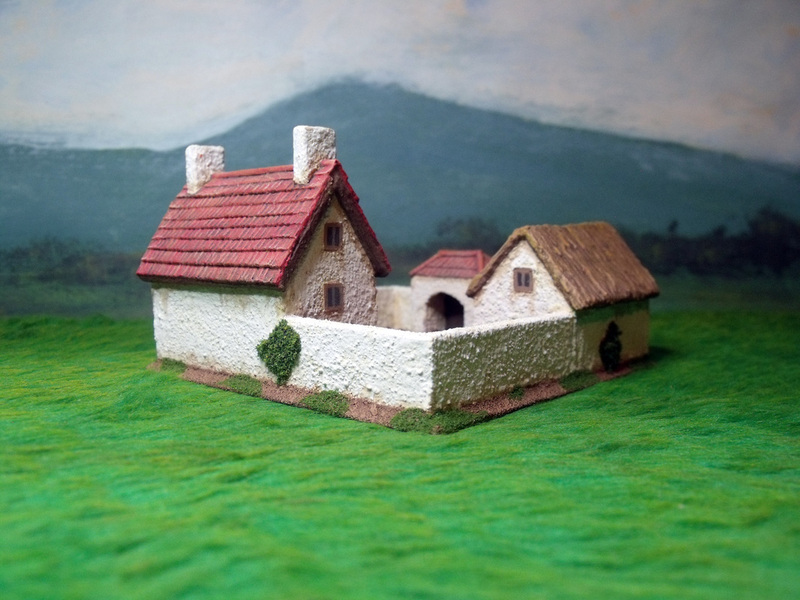 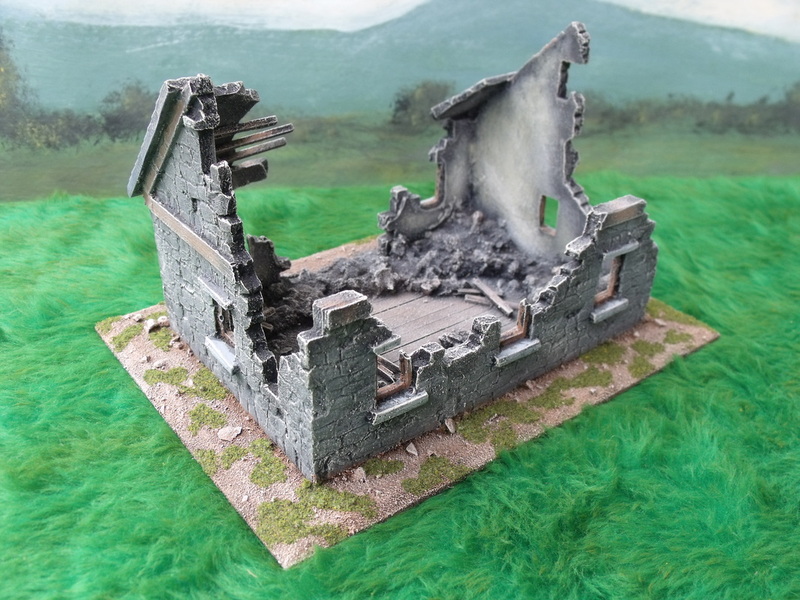 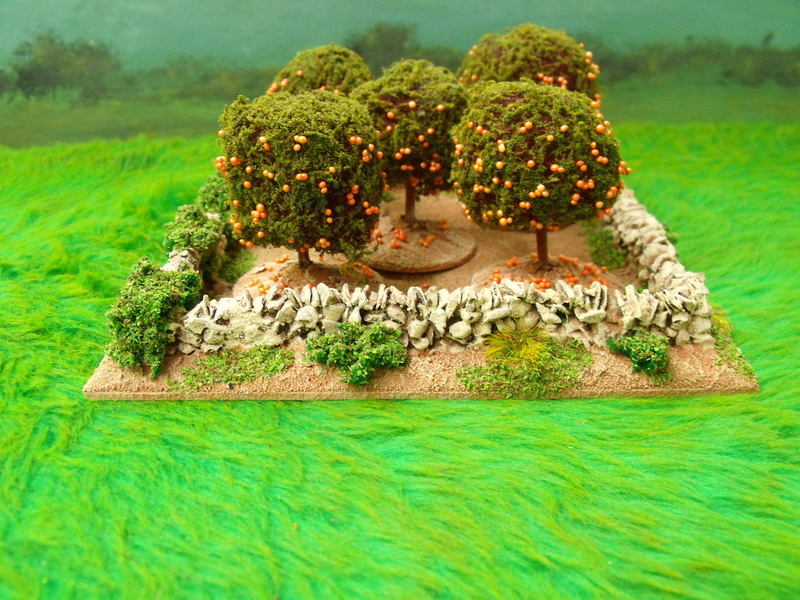 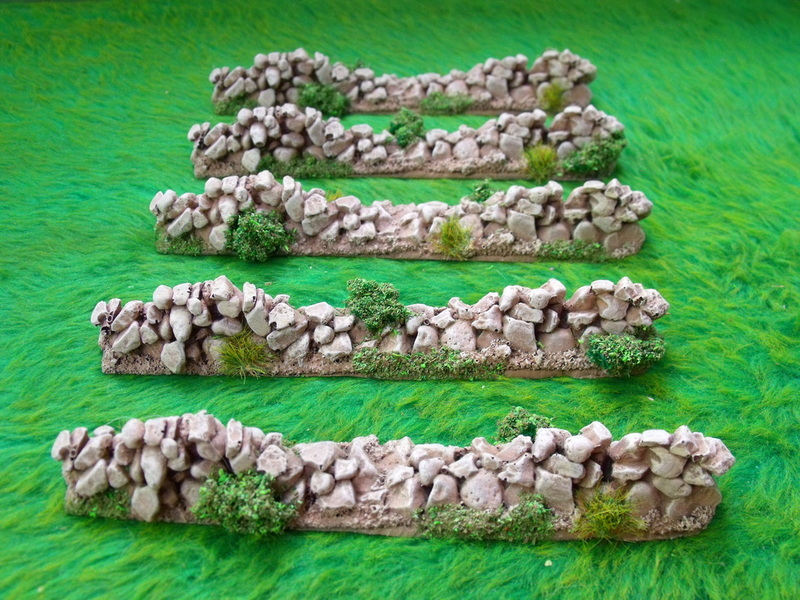 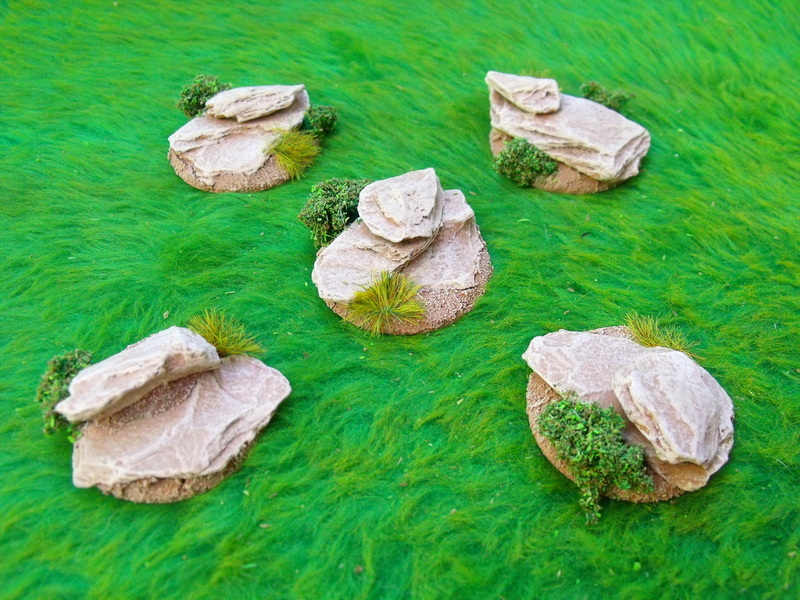 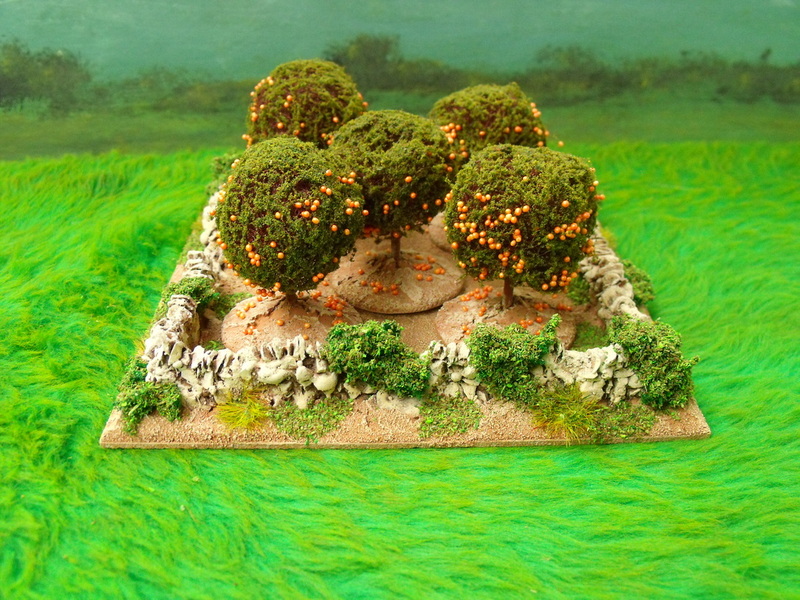 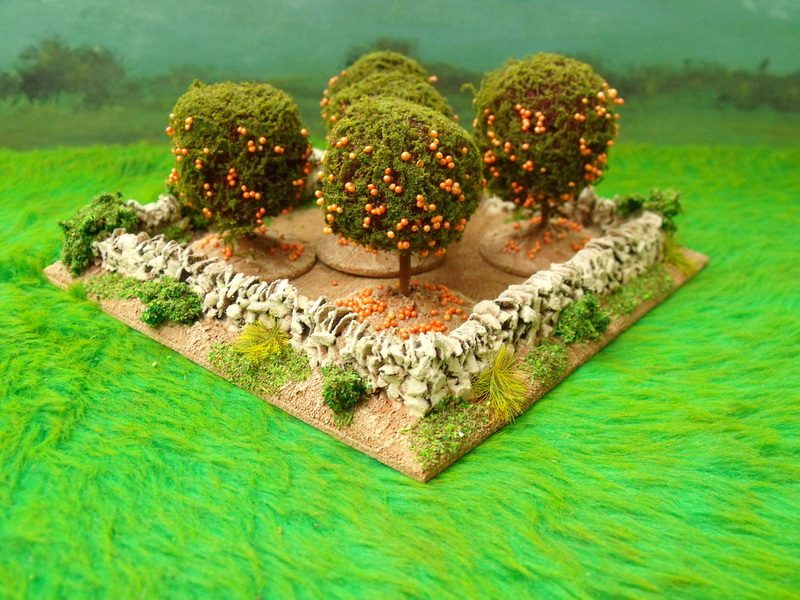 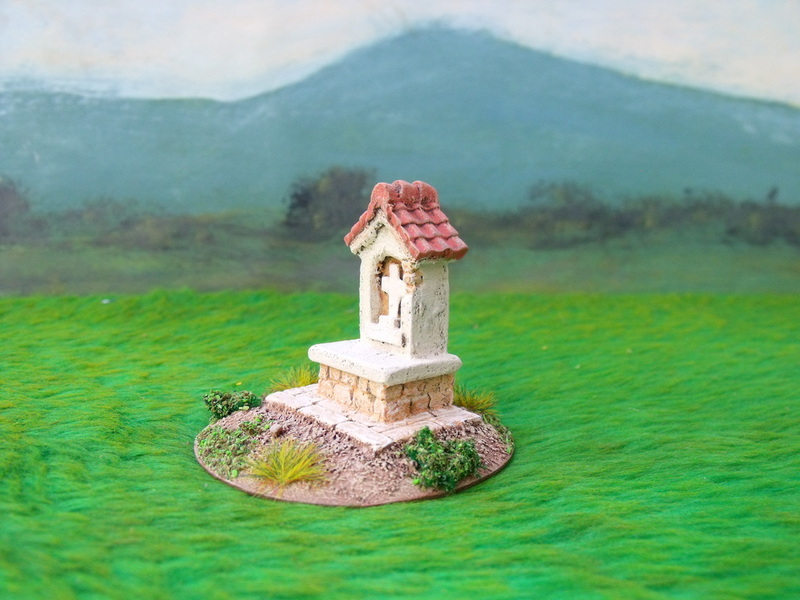 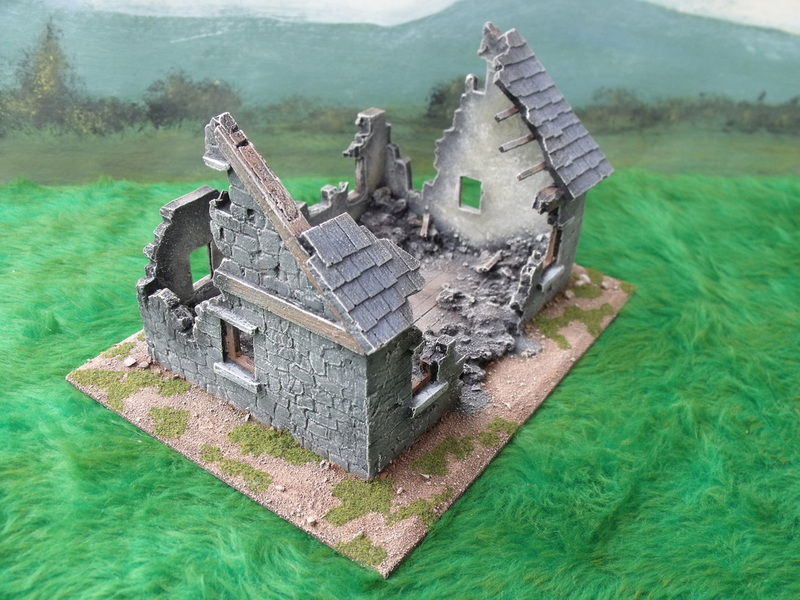 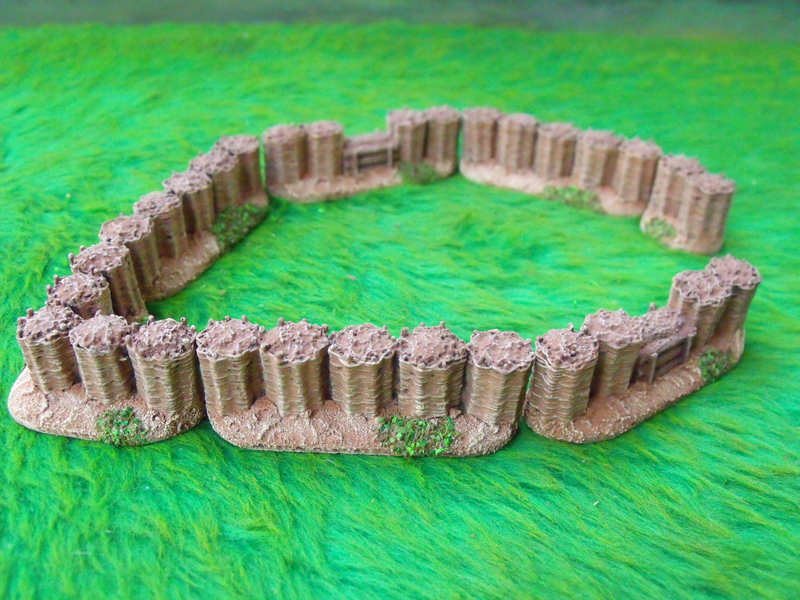 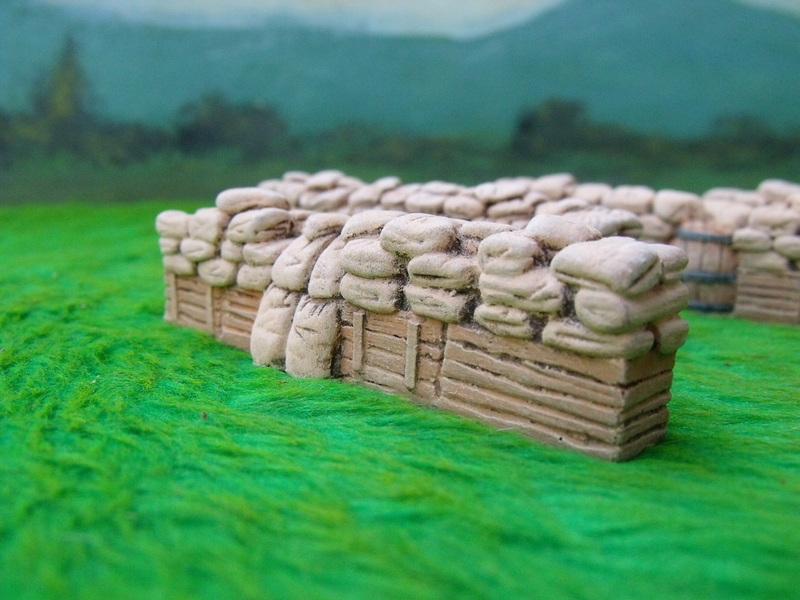 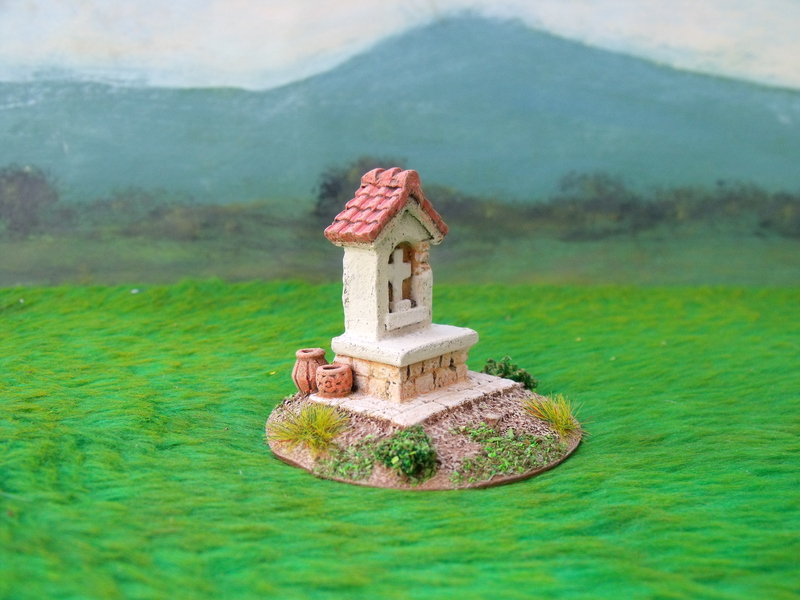 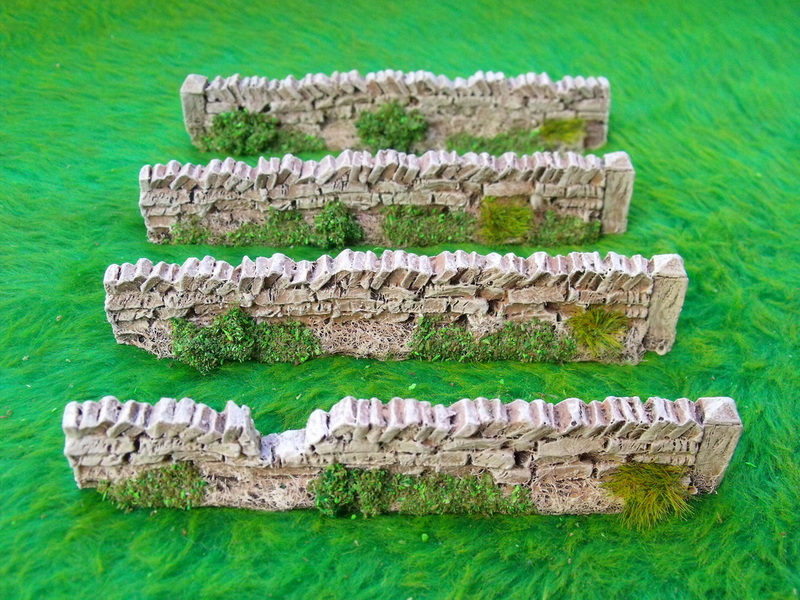 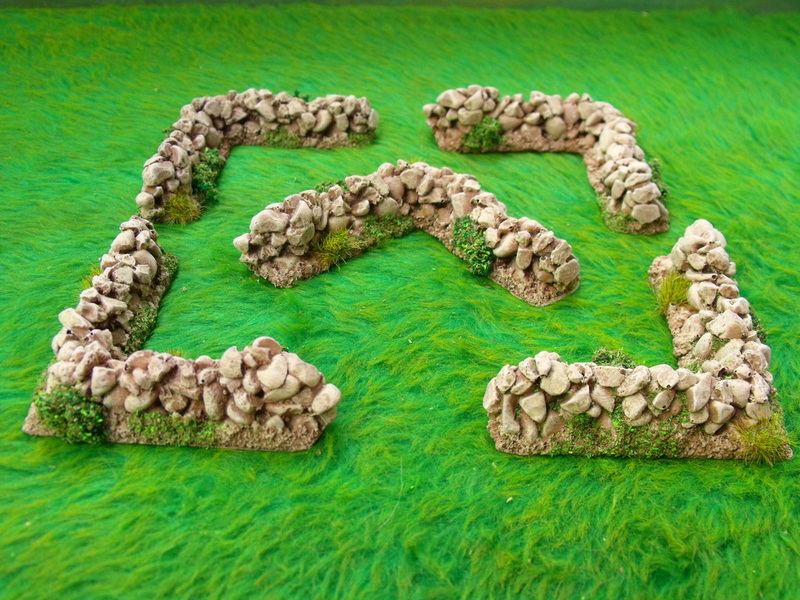 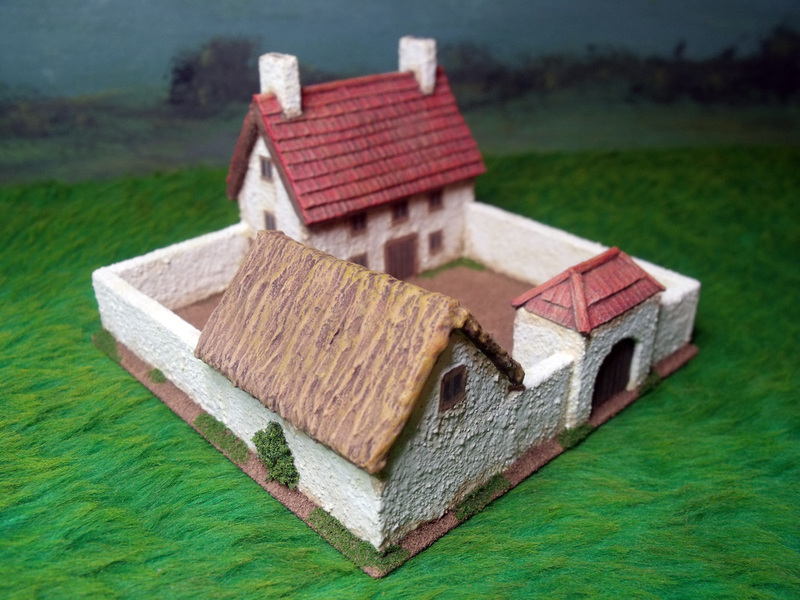 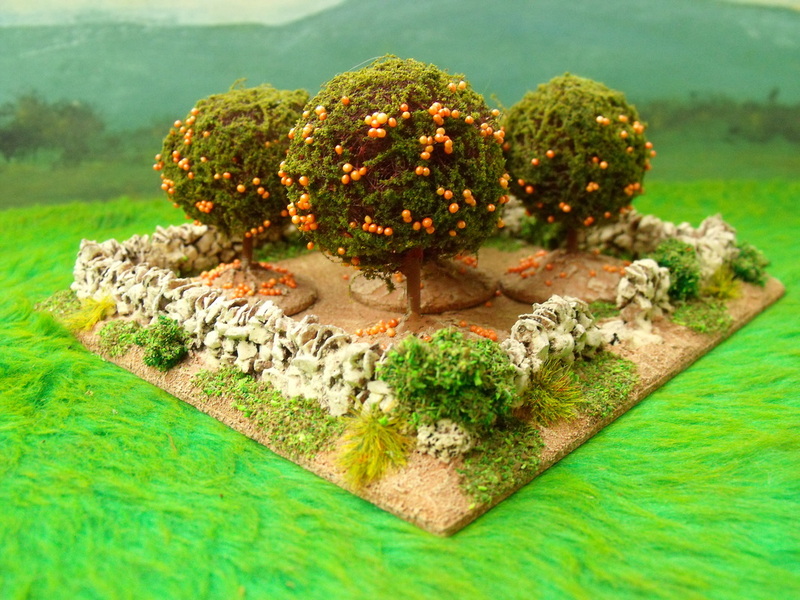 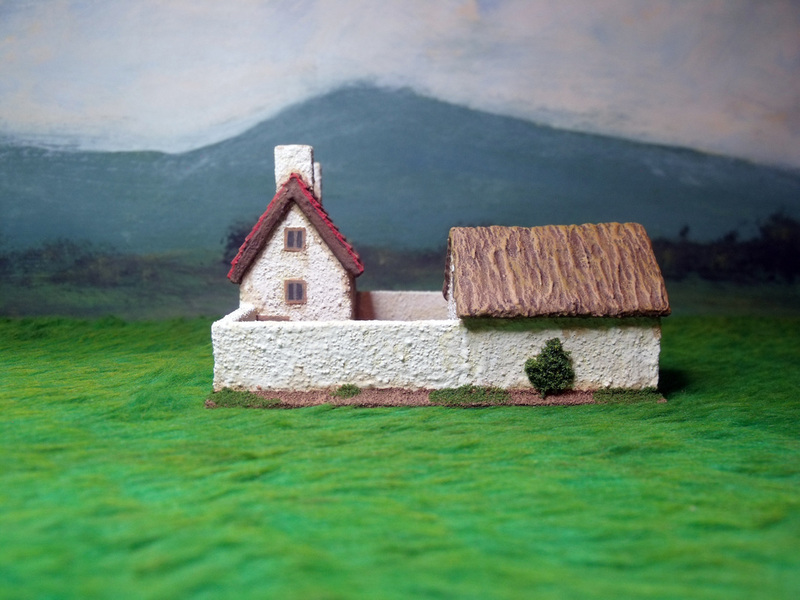 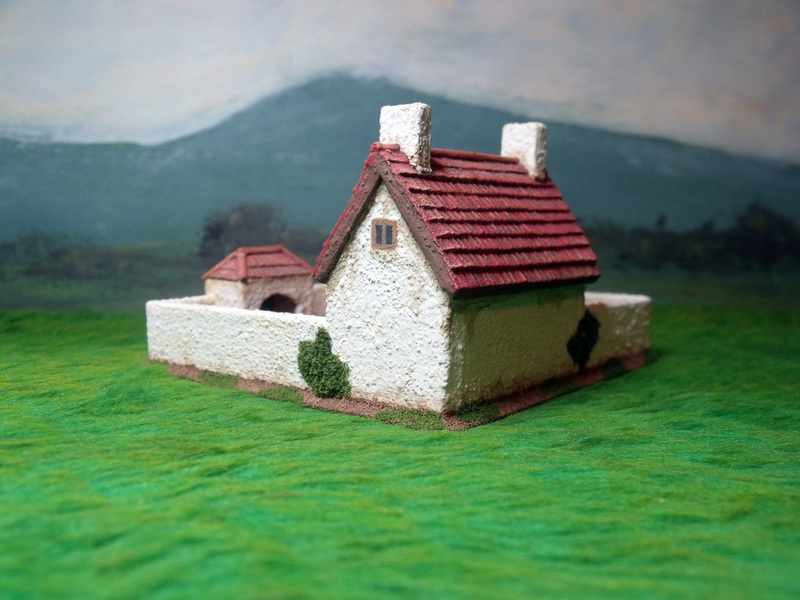 A new range of battle damaged buildings ready painted and based to go straight onto your battlefields. 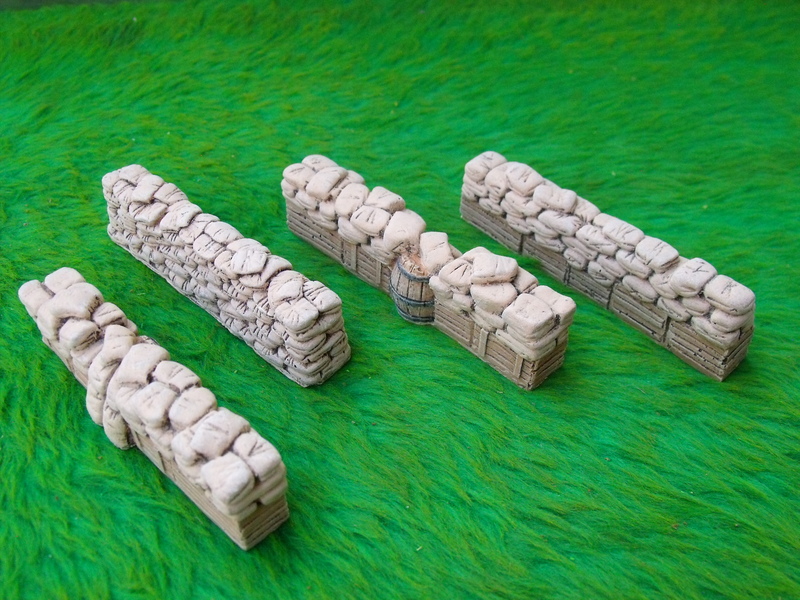 Can be used for any period from Medieval onwards these are particularly suitable for WW2 Europe. 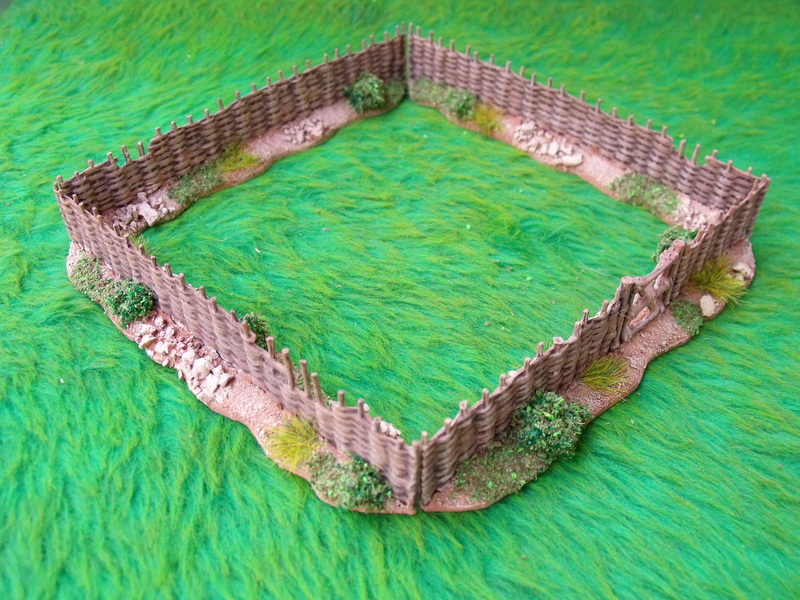 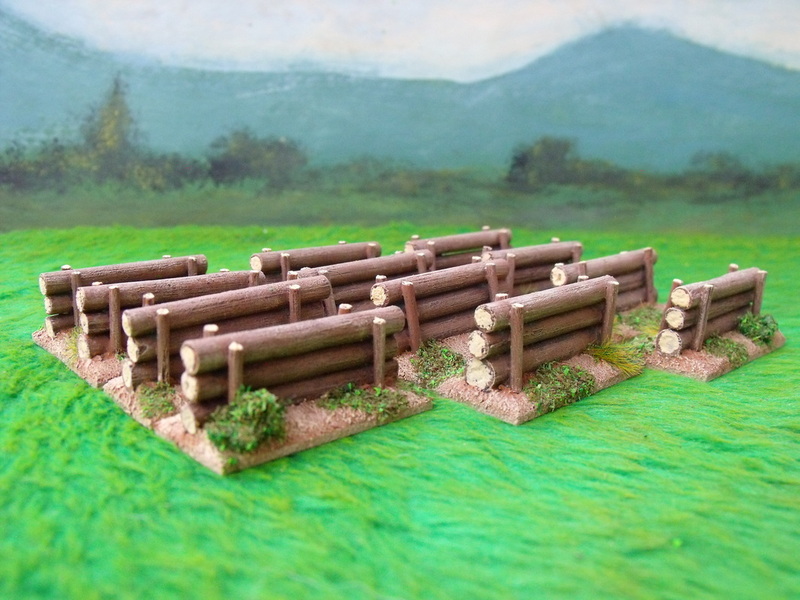 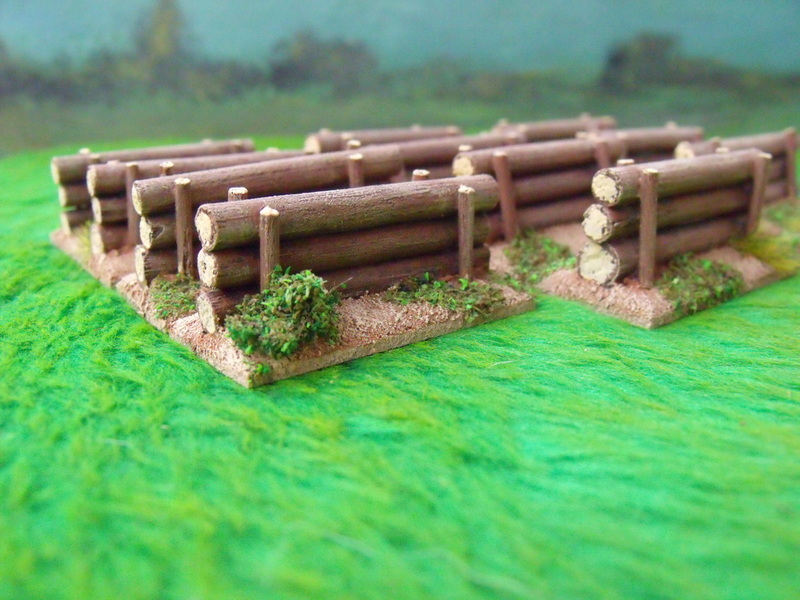 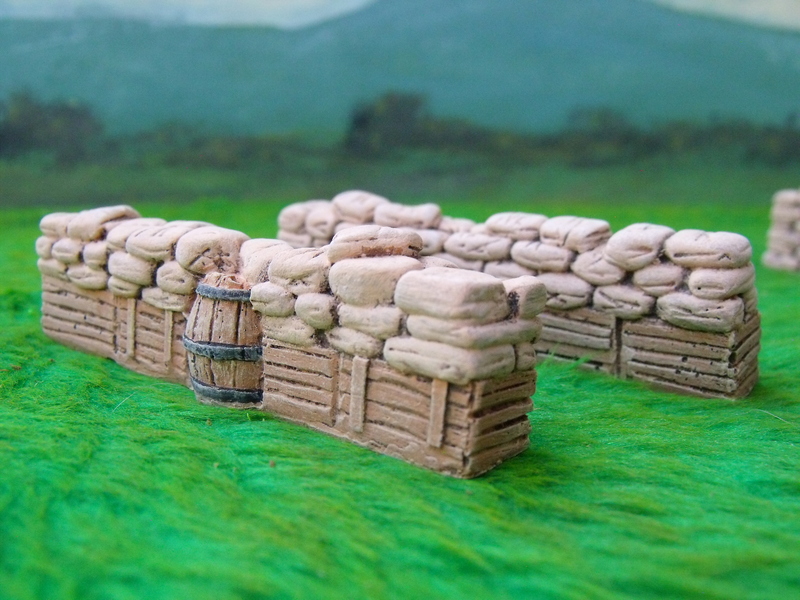 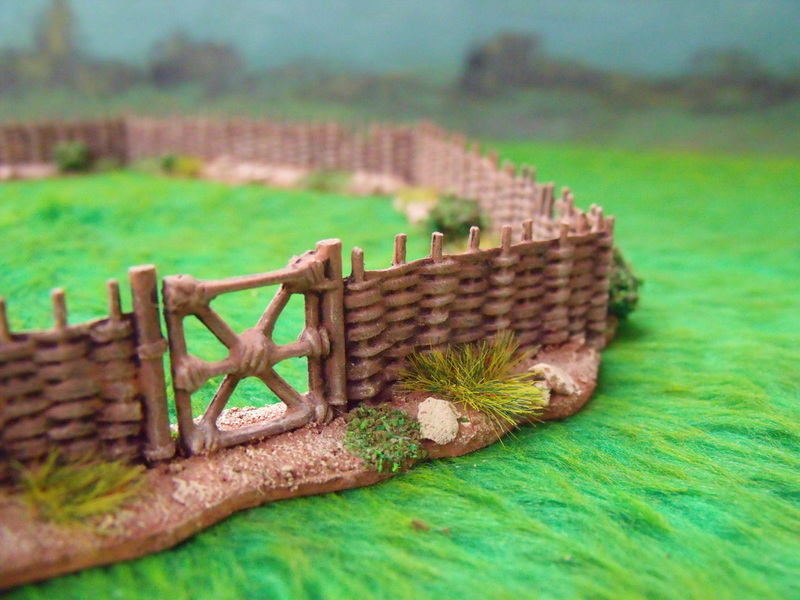 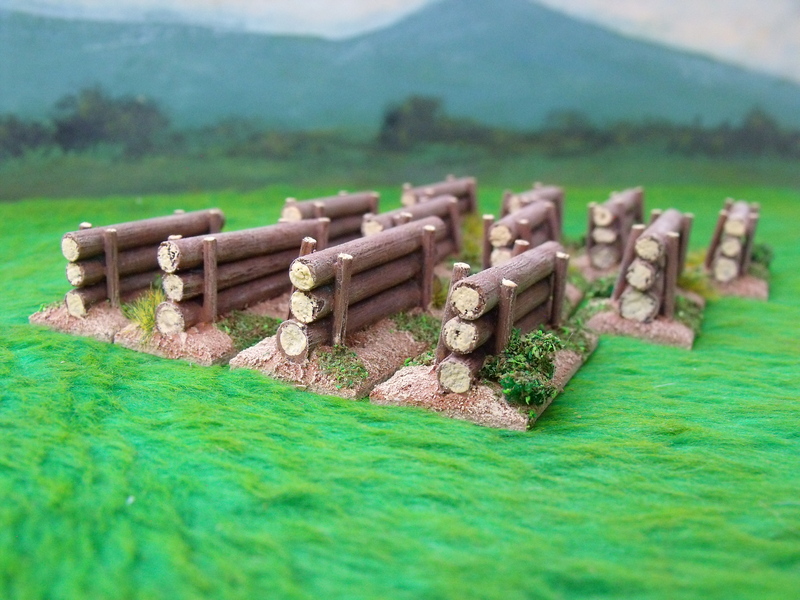 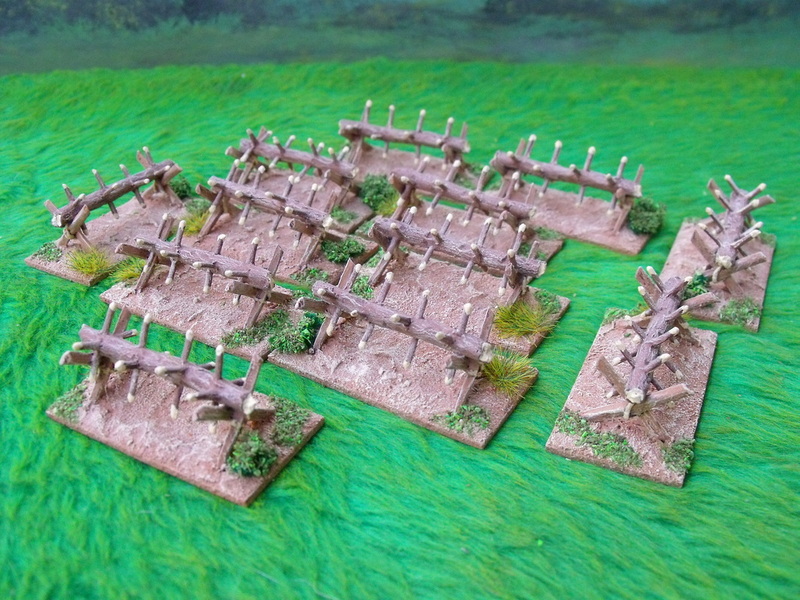 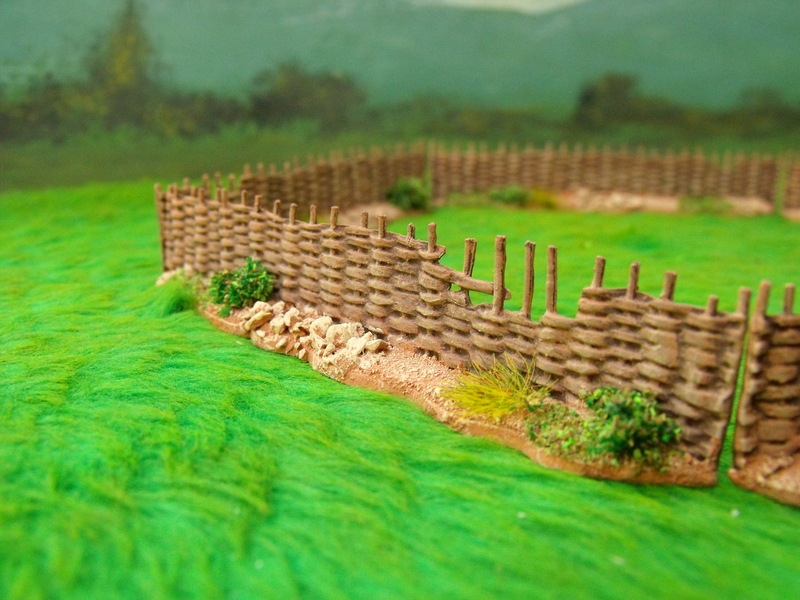 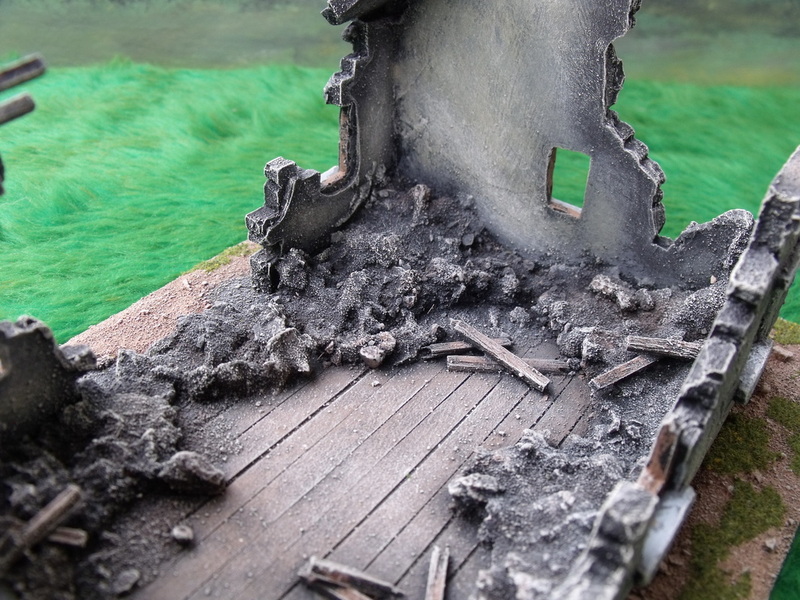 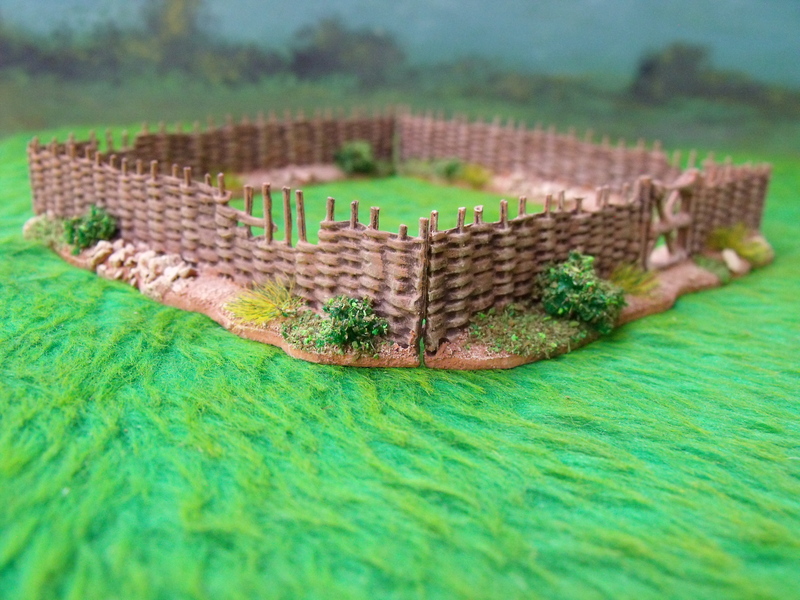 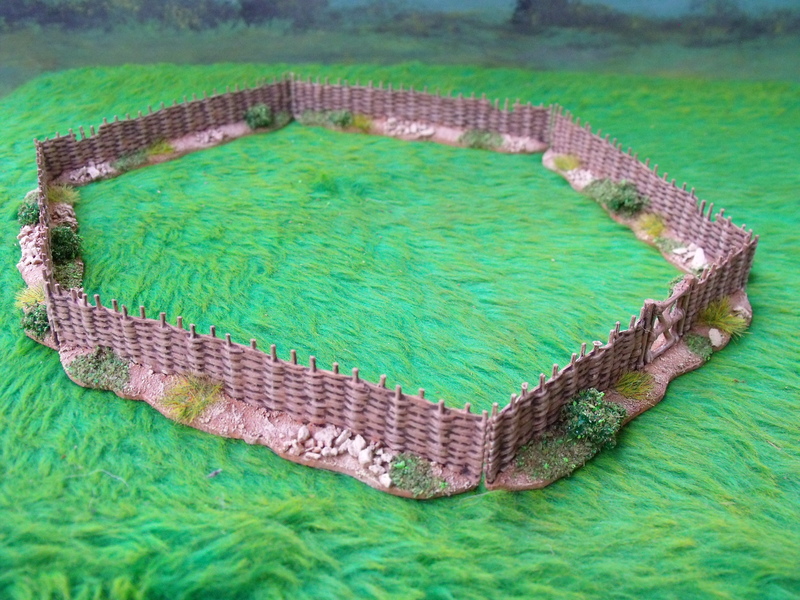 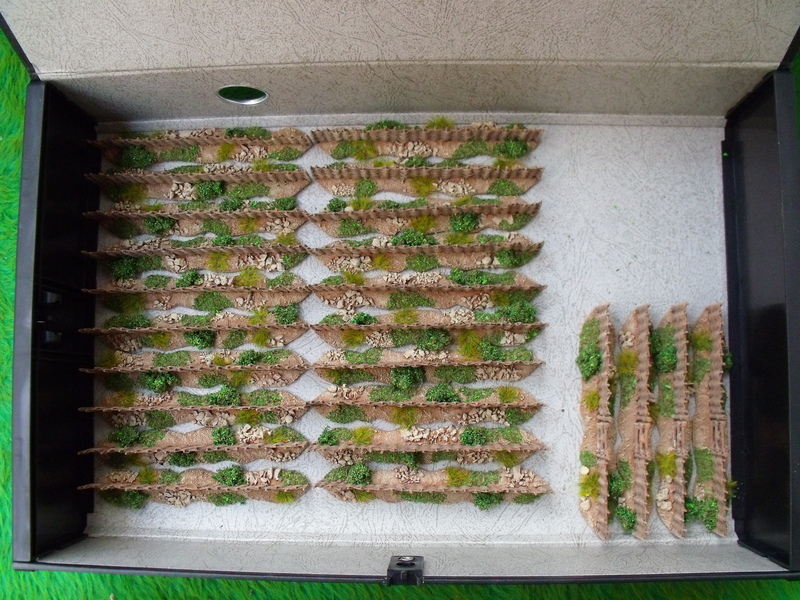 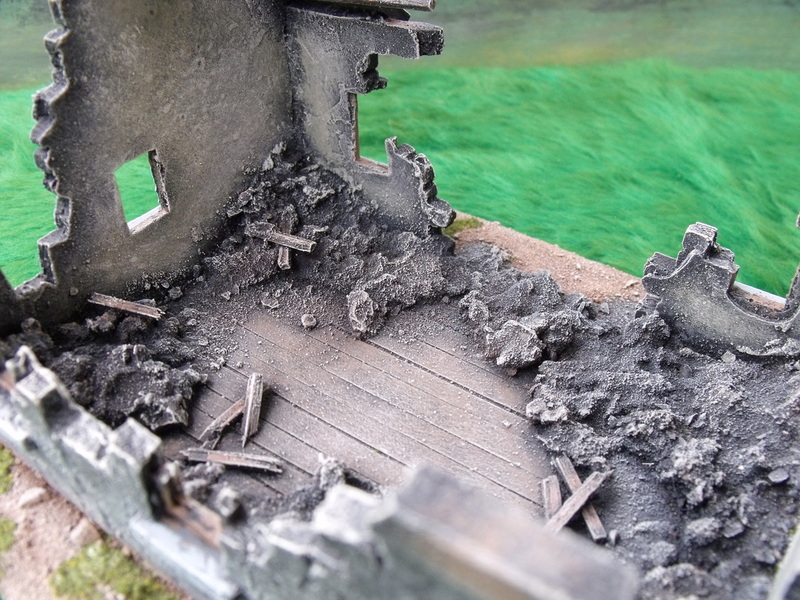 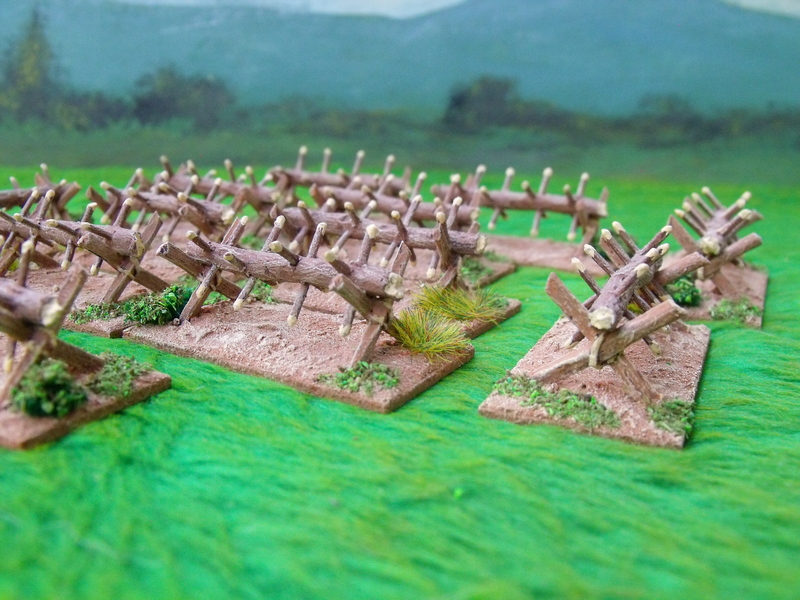 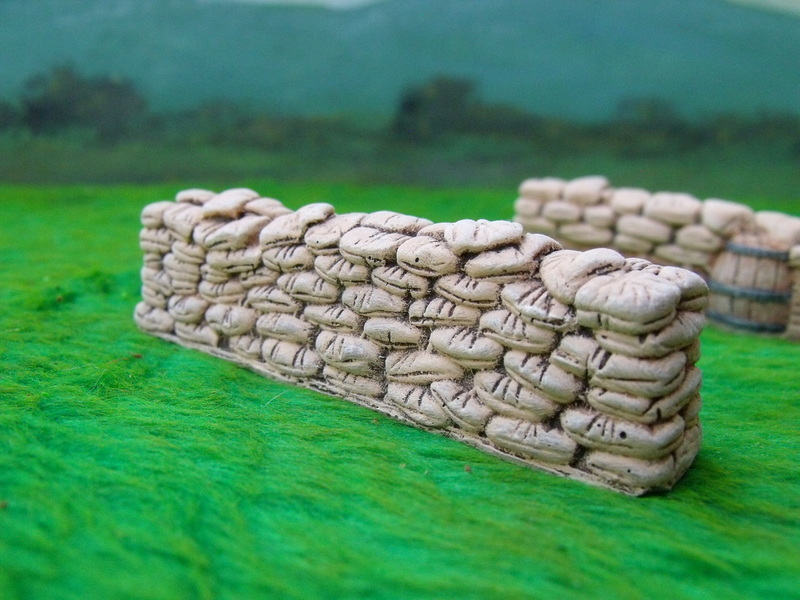 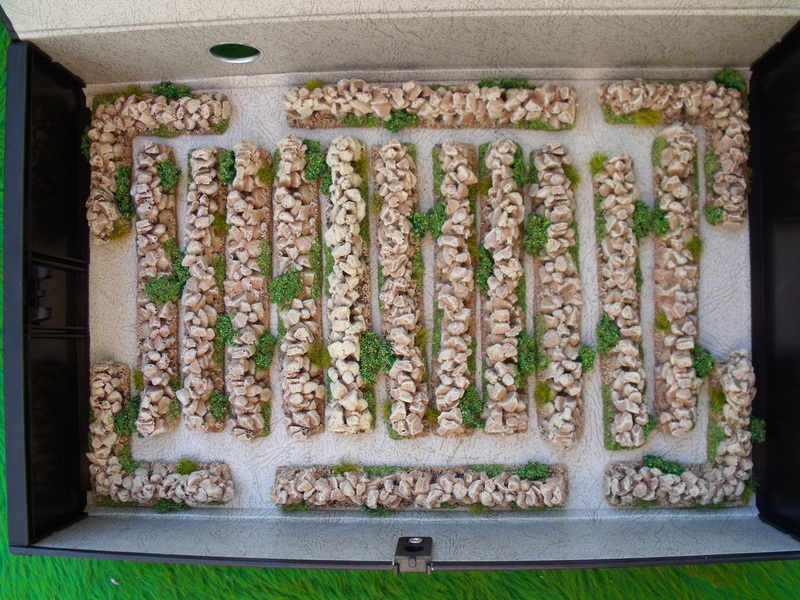 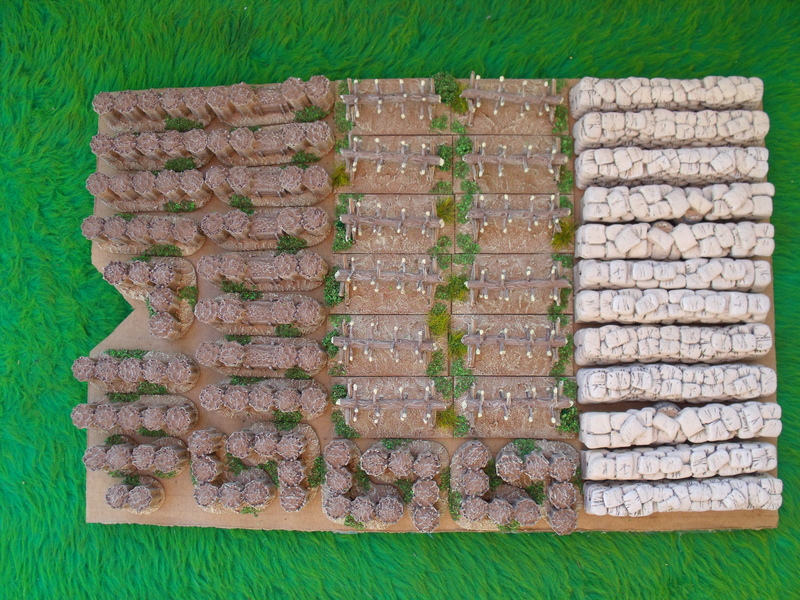 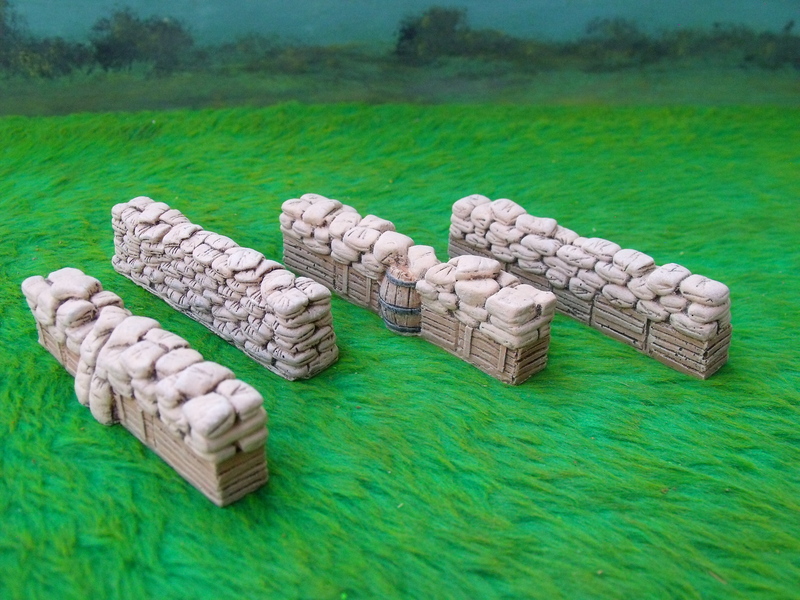 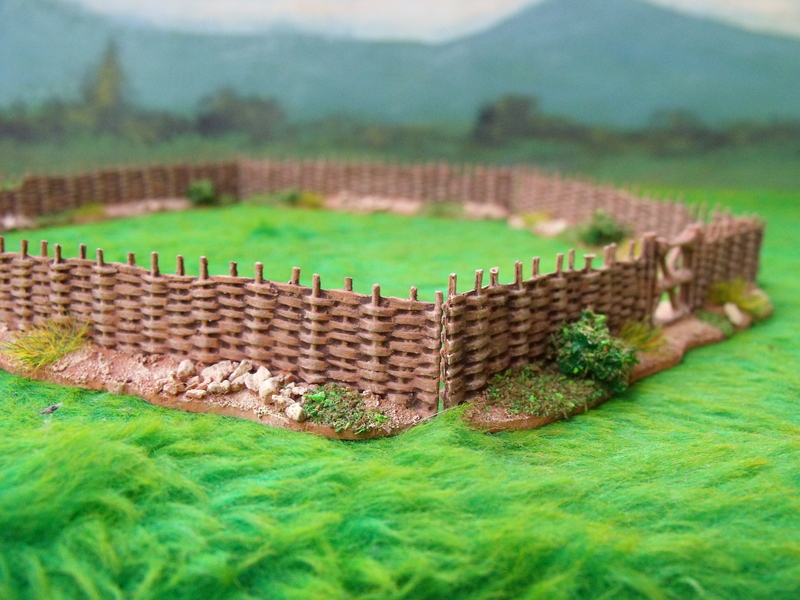 They have ample space to easily fit a squad of infantry and supports with the access coming through the burnt out sections, so you can just place your figures in before the game and hope that your opponent fails to spot them until it is too late. 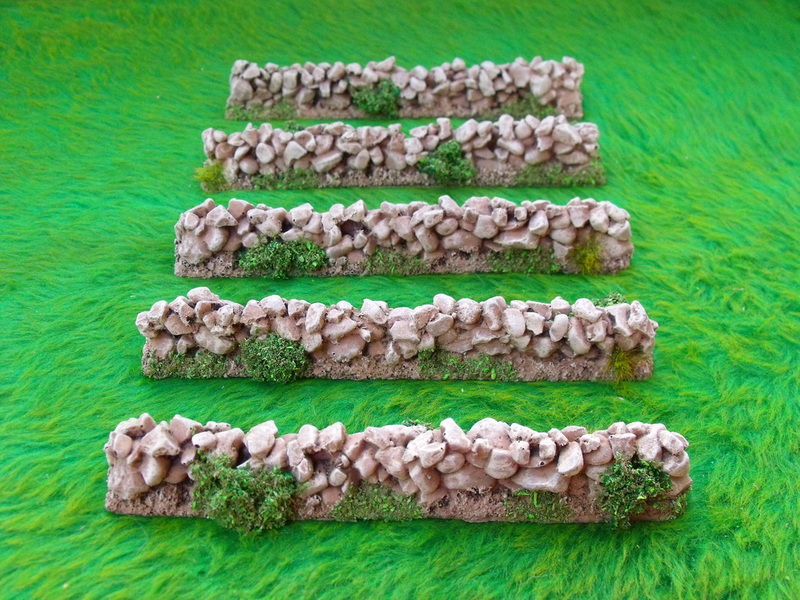 Each is uniquely different so you can be sure that if you order several they will all be different. 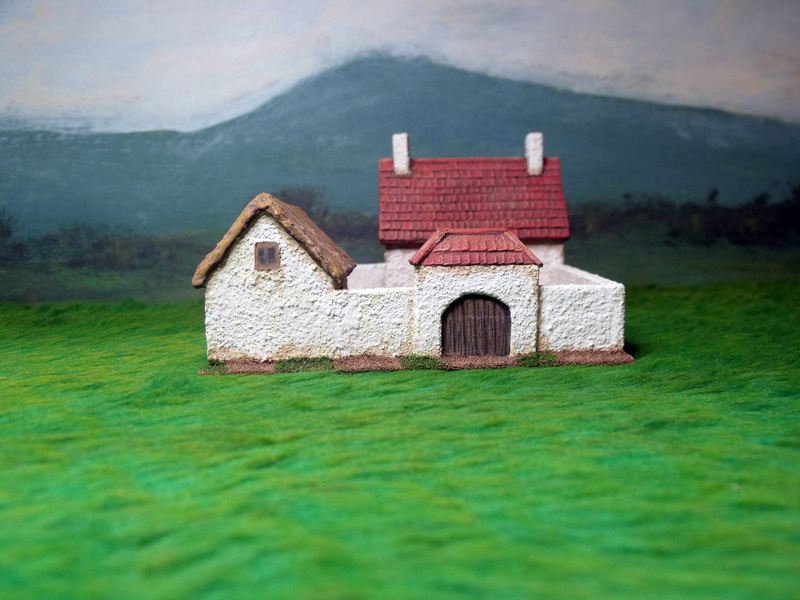 You have a choice of thatch, slate or pan tile roofs and brown, grey or white exteriors and all prices are inclusive of postage. 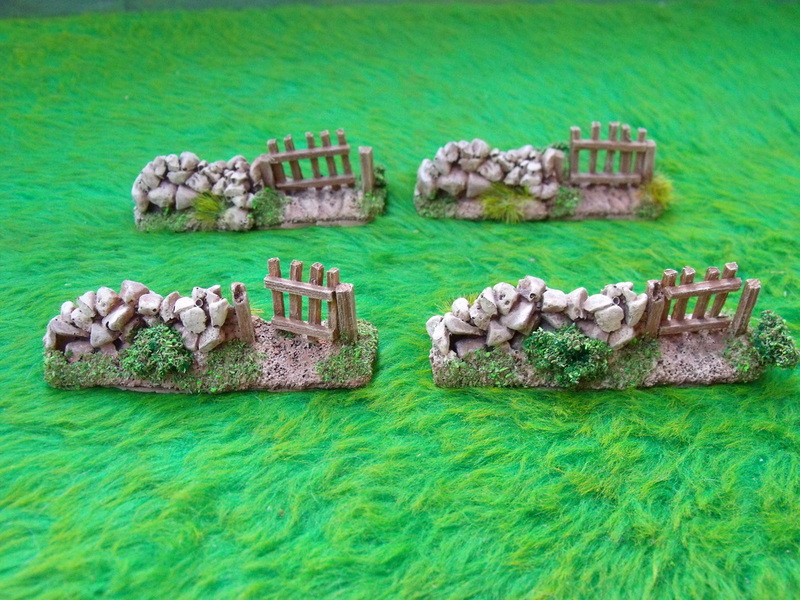 Click the button below to see this range. 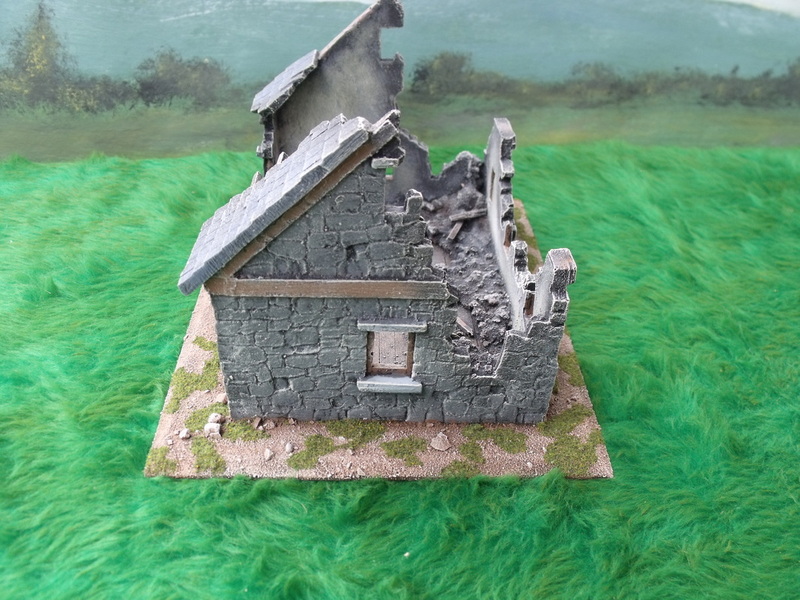 ﻿Custom made buildings to your specific requirements covering all scales and periods for less than the price of similar resin pieces from other companies. 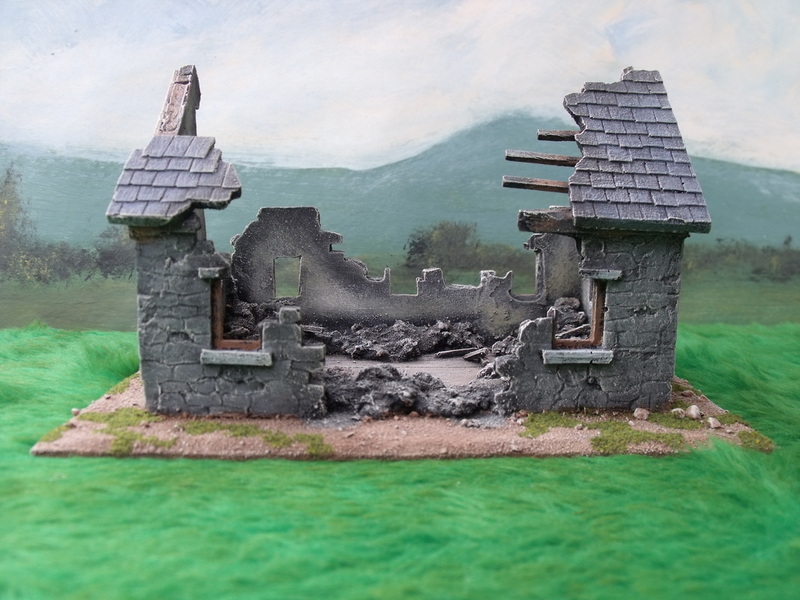 You pay nothing up front, once built you will receive an email containing photo's and depending upon the project you may either collect it, have it sent via post or it can even be delivered by us.